1. Melt 4T butter and fry 1T chopped onion. 2. Osterize 1c milk, 3/4c flour, 1/2t salt, 1/8t black pepper and some zested nutmeg and add to onions. 3. Mix together, over low heat, until it thickens and pulls apart from the sides, like dough. 4. 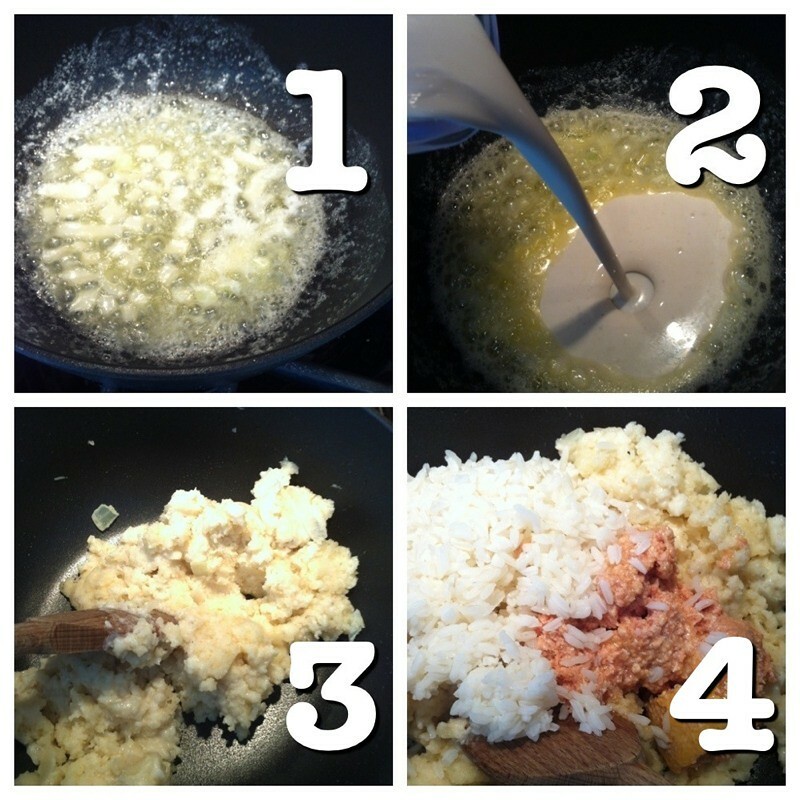 Remove from heat and add 1t vino seco (dry cooking wine) and 2c your croqueta ingredient. Mix, toss into a bowl and let cool in fridge.